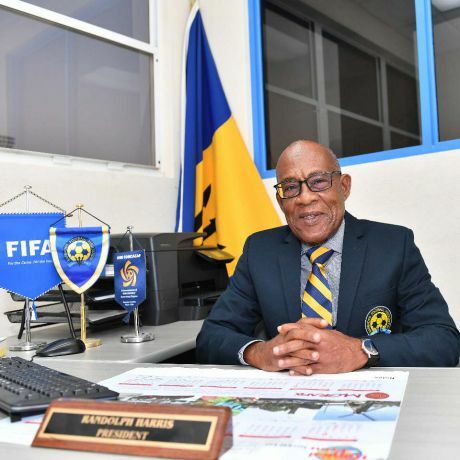 MIAMI, United States, Apr 6, CMC – Barbados Football Association head, Randy Harris, has been re-elected vice-president of the continental governing body, CONCACAF. The veteran administrator, who is also president of the Caribbean Football Union, will serve alongside Yon de Luisa of Mexico who was also elected vice-president. Elections took place at the 34th Ordinary Congress in Las Vegas, Nevada last week where CONCACAF president Victor Montagliani was returned unopposed for a four-year term. Harris has seen his star rise internationally ever since he was first elected president of the BFA back in 2012. He became a CFU board member in 2017 before assuming the post of senior vice president that same year. He then acted as CFU president after Antiguan Gordon Derrick was slapped with a FIFA ban, before being elected president the following year. Harris first assumed the role of CONCACAF vice-president at the 33rd Ordinary Congress staged during last year’s FIFA World Cup in Russia. He is one of just two administrators from the English-speaking Caribbean on the CONCACAF Council, with Sonia Bien-Aime of Turks and Caicos the other. CONCACAF is the governing body for football in North, Central America and the Caribbean.